We were contacted by Bradfield Brewery to advise on a large-scale solar panel installation. The rise in energy bills they were facing led the brewery to investigate an alternative energy source. It quickly became clear that renewable technology was the way forward. The installation took approximately three weeks and the 150+ photovoltaic solar panels on the roof of the brewery and storage building now generate around 30,000 Kilowatts of electricity a year – enough to power about half a dozen family homes. 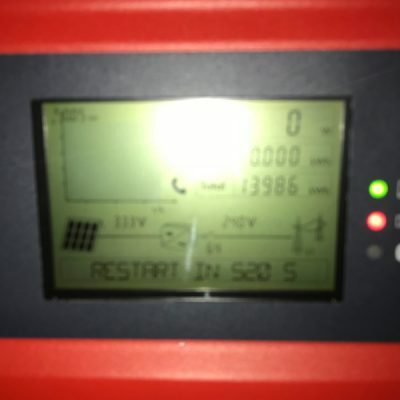 The combination of money saved on electricity bills and the income generated from the Feed In Tariff amount to an annual figure of around £11,000. Sign-up to our monthly email newsletter to receive information about our recent projects, updates on the government's feed-in-tariff, articles explaining the benefits of using solar pv and details of any current offers. © Norcroft Electrical Ltd, trading as Norcroft Energy 2015 | Website designed by CreativeSmith and managed by Sixothree Marketing.